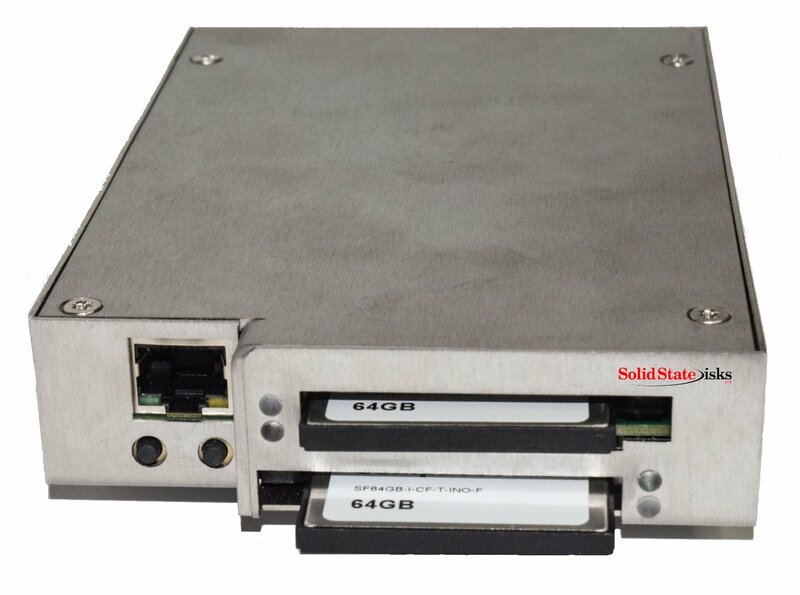 Solid State Disks (SSD) has announced Hot Standby, a solid state, CompactFlash-based dual drive for replacing ageing and failed, SCSI-based, legacy electro-mechanical storage peripherals including hard disk, magneto optical, tape and floppy drives. Incorporating twin CompactFlash (CF) drives, Hot Standby enables the two CompactFlash cards to work as a mirrored pair providing increased resilience and fault-tolerance. The Hot Standby drive is presented to the host system as a single logical drive that will continue to operate seamlessly if either of the CF cards fails. This also allows one CF card to be removed or dismounted for backup over the Ethernet port, giving a full disk image backup without dismounting the drive. The hot standby functionality ensures that any previously paired CF card, maintains a log file of the sectors written so that it can be used to quickly re-synchronise with the removed or replaced second card to re-establish a mirrored pair. Hot Standby is ideally suited for use in process-critical legacy computer systems where downtime for maintenance and backup causes major disruption and expense. These are found in a range of industries including telecommunications, semiconductor manufacturing, industrial process control, engineering and manufacturing, power generation, oil & gas, military & aerospace, flight simulation and post-production.